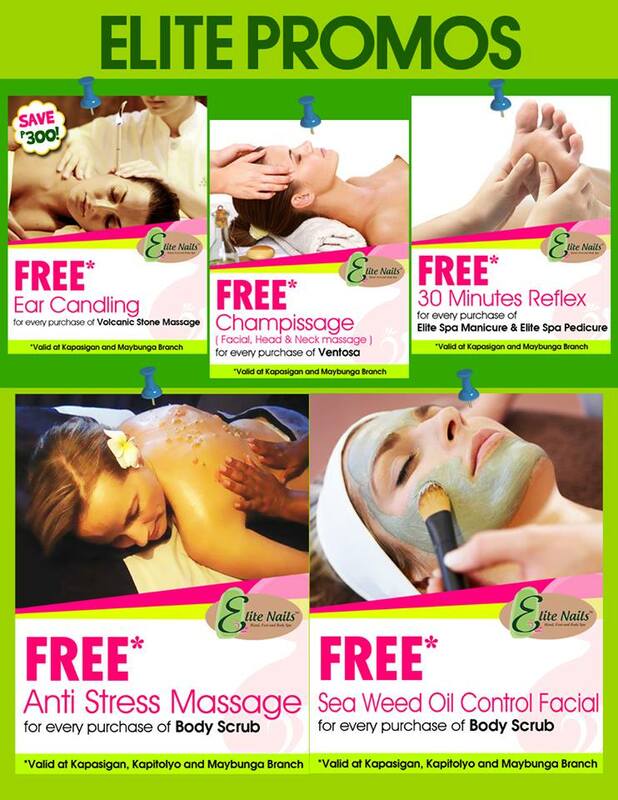 Elite Nails Hand, Foot and Body Spa: Enjoy the Rainy Days with these Amazing Spa Deals! Enjoy the Rainy Days with these Amazing Spa Deals! This week in all its rainy gloom – has been a little nightmare for us. Sure, this season is indeed a bed weather and all we would love to do is become a couch potato. However, there’s no holiday for workers and students, unless there’s a storm signal, braving the rain off to your destination is indeed an unlikely choice. And even those who stay at home won’t like the idea of getting wet if they have to do some errands outside. We all have our own rainy day blues – but there are better clues to make the most of it this season. For the whole month of July, enjoy the wonderful rainy day deals of Elite Nails Spa. 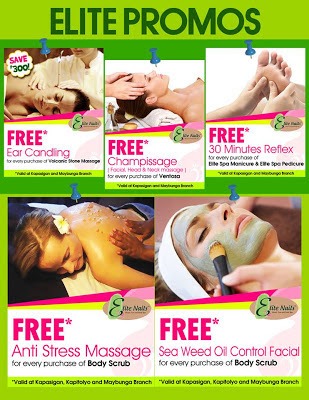 You can avail great discounts on Ear Candling, Champissage massage, Foot Reflex and facial. These are indeed some of the best ways to beat the rainy day blues, see you!